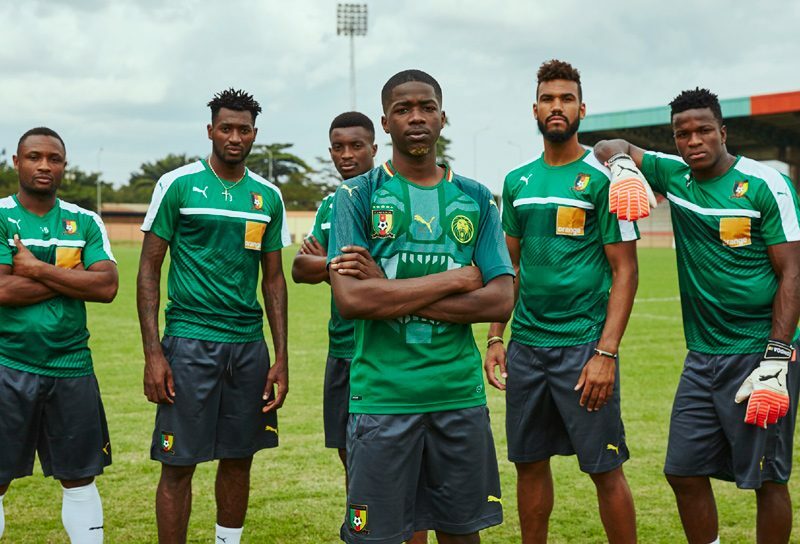 2017 marks the 20th anniversary of the collaboration between Puma and the Cameroonian football federation. 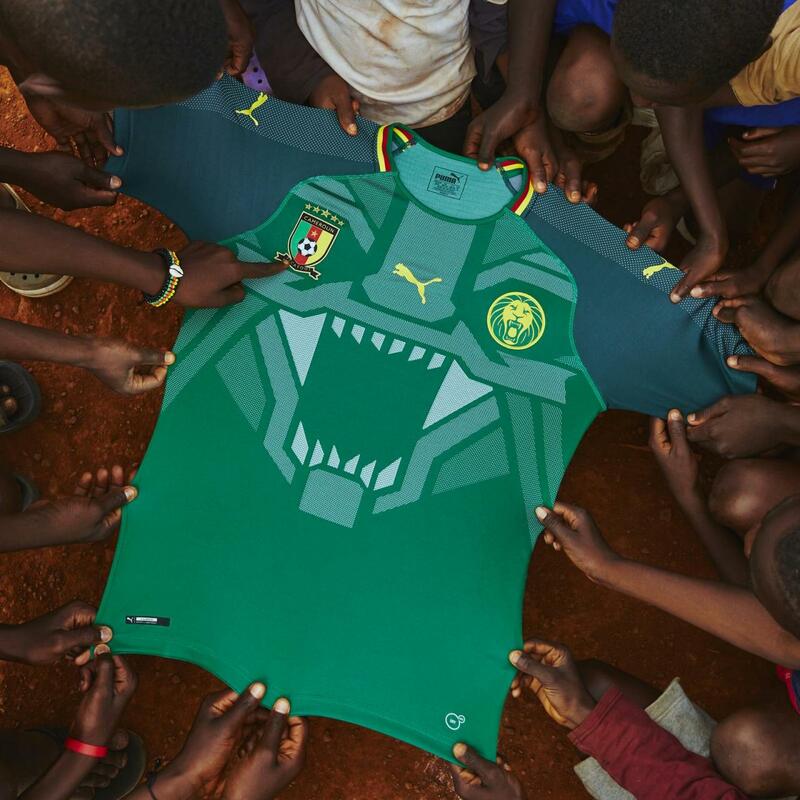 It’s with the will of celebrating this milestone with the African champions and the future host of the CAN 2019 that Puma has decided to reveal the new home shirt of the Indomitable Lions. 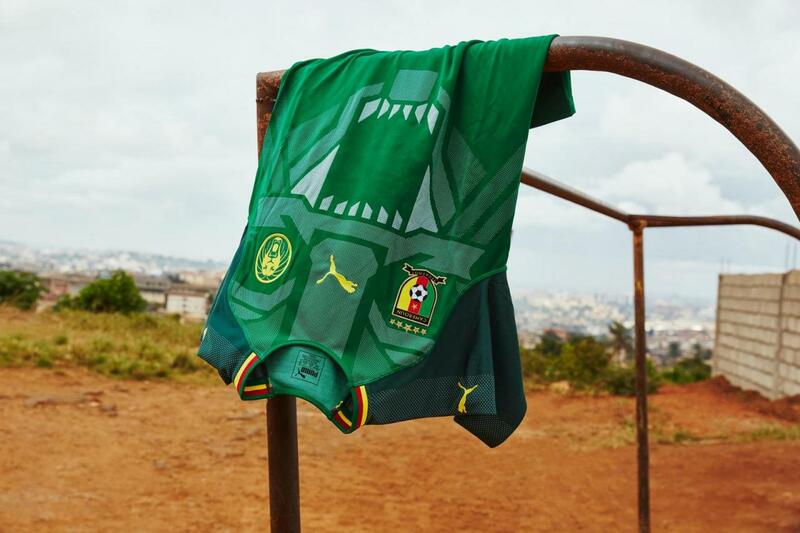 Designed to reflect the pride and passion of the fans and nation the shirt incorporates a modern and striking interpretation of the famous roaring lion crest into its design. A truly impactful emblem that will inspire and invigorate these modern-day lion kings to play with no fear. 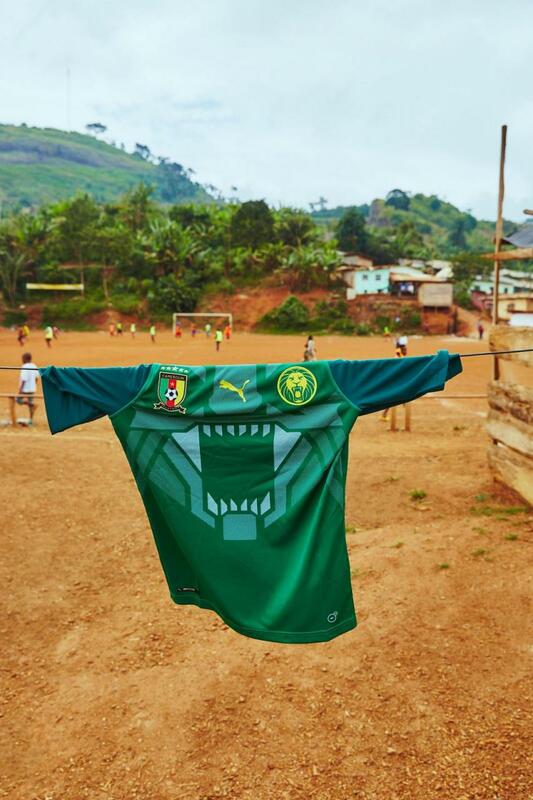 The flag of Cameroon is represented on the collar, and that unforgettable green rekindles memories of the first time you pulled on the shirt and watched your home heroes on TV, that Roger Milla dance, that first time you felt real joy, your First Passion. Getting into the details you will notice engineered cooling fins in key zones on the shirt that act as channels regulating your bodies temperature, whilst dryCELL technology provides moisture management across the fabric with high performance yarns that wick sweat away from the body. 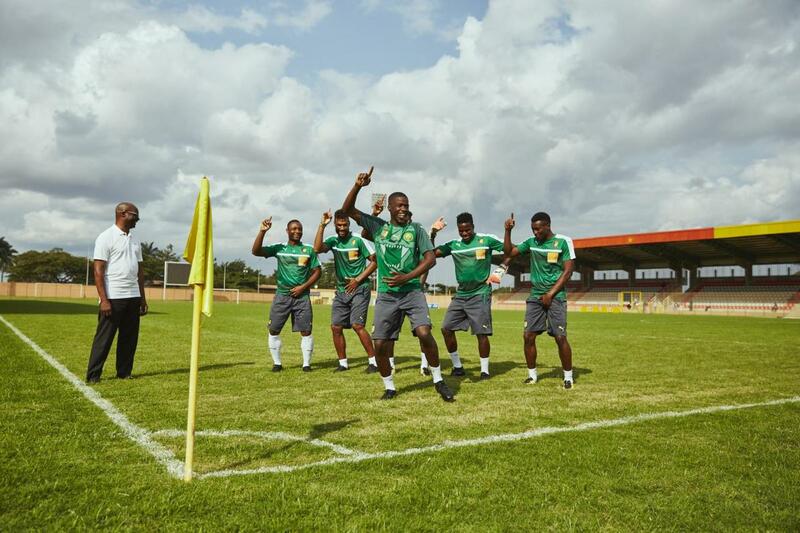 All this is packaged into the seamless evoKNIT construction of the shirt that provides a lightweight ‘second skin’ feel so the fabric moves with the players body and not against it, allowing for better freedom of movement on the pitch.